Americans are growing sicker and older at an accelerating rate, placing more and more pressure on an already stressed healthcare system. Organizations that can manage the health of populations efficiently and cost effectively, providing education, assessments, predictions, and interventions, will be poised for success. Finding ways to leverage technology to help to guide and monitor patients at home both allows clinical teams to reach more patients, identify at-risk patients, improve outcomes, and become more efficient. Remote patient monitoring (RPM) provides an avenue for healthcare providers to change lives for the better – engaging patients to take an active role in their own health and allowing providers to detect problems early before costs and complications escalate. Innovations in RPM are revolutionizing healthcare. Nokia and iGetBetter, for example, collaborated to manage patients with chronic heart failure to reduce readmission rates and excessive use of emergency department resources. Patients received a weight scale and wireless blood pressure cuff, sending data to a care coordinator to measure and record vital signs. The project achieved remarkable outcomes, including 81 percent fewer emergency department admissions, 92 percent fewer patient encounters, and 68 percent fewer cardiology visits. Our hospital clients have seen a 45 percent reduction in readmissions and 54 percent fewer complications compared to national benchmarks. These remote monitoring innovations are changing the way healthcare is delivered, improving outcomes and reducing costs. As a result, digital health innovations continue to proliferate. The Centers for Medicare and Medicaid Services (CMS) is now catching up and recognizing that these innovations work. Medicare reimbursement for telehealth and remote patient monitoring technologies has totaled just $28.75 million in 2016 out of a $990 billion overall CMS budget. This lack of reimbursement for RPM has represented a barrier to widespread adoption of these proven technologies. 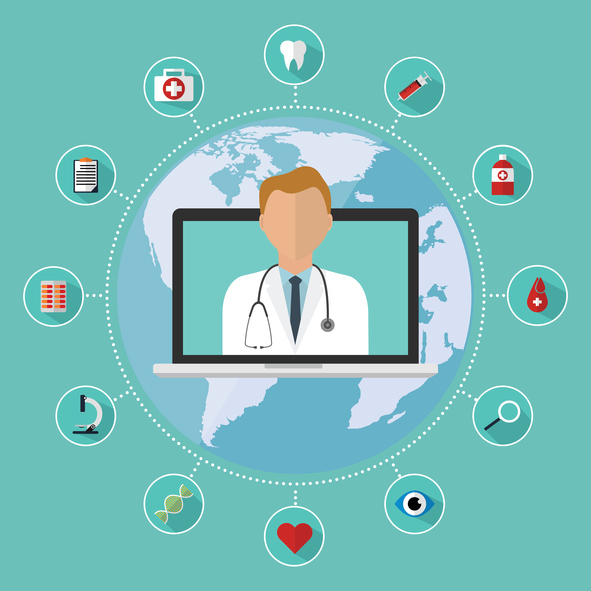 However, changes are on the horizon that signal more support for remote patient monitoring. On November 3, 2017, CMS announced that it will support and reimburse providers using remote monitoring technologies beginning next year. Specifically, as outlined in the 2018 Physician Fee Schedule, CMS will unbundle and activate CPT code 99091 (collection and interpretation of physiologic data) from the traditional chronic care management programs. This will allow providers to be reimbursed for time spent collecting and analyzing health data that is generated by a patient, digitally stored, and transmitted to the providers. The is set at approximately $60 per month per patient for a cumulative 30 minutes of monitoring. This is an important first step for CMS in recognizing the value of remote patient monitoring technologies across medical episodes, which will continue to play a bigger role in healthcare delivery as the population ages and the transition to value-based care continues. Top-performing providers are embracing new technologies, such as remote patient monitoring and patient engagement solutions, because it’s the right thing to do for patients. Now, providers using these digital tools to provide ongoing guidance and assessments for patients outside of the office visit will be paid for those efforts. These policy updates signal that CMS is moving quickly toward its goal to move most Medicare payments to alternative models by the end of 2018. Providers and healthcare organizations should start adopting RPM technologies now to benefit from these regulatory incentives, which will only continue to grow. While these changes signal a tipping point in remote monitoring reimbursement, more progress is needed to speed adoption of these digital health innovations. It’s time to think bigger to accelerate the broader use of RPM. CMS must take a more expansive approach to reimbursement by reimbursing providers for the setup and use of the remote monitoring technology itself. CMS should recognize the equipment, facilities, non-physician medical staff, and technologies that are required to drive these innovations to scale. In their final rule, CMS has indicated that more work will be done in 2018 to look at compensating physicians for the technology costs, time spent enrolling patients and value from solutions that are automating care management. We are hopeful that this is just the first step towards a much broader recognition of these important tools. Remote patient monitoring is a game-changer. It has dramatically altered the way medicine is practiced and has generated a wealth of benefits for patients and providers, saving lives, reducing complications, improving access, and lowering costs. For the sake of our aging population and all patients, it’s time for reimbursement to evolve as well, because adequate payment is vital to advancing RPM into the mainstream of America’s healthcare ecosystem.